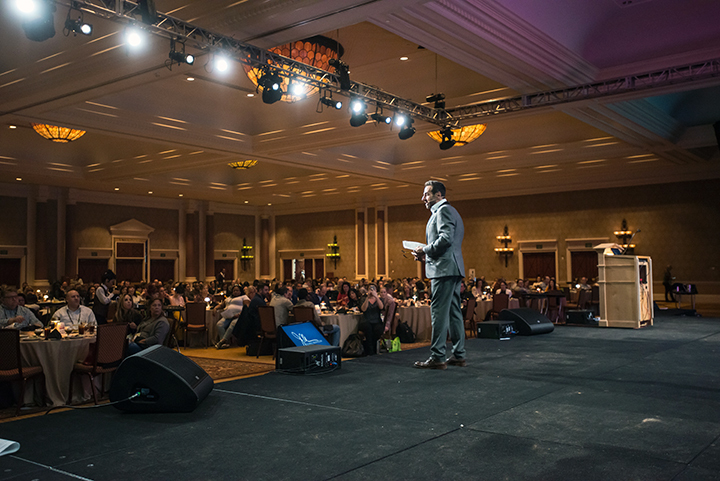 Whether you are a seasoned veteran or a new to speaking at conferences and association meetings, the success of your talk itself will rely heavily on how you prepared even months prior to taking the stage. It’s not simply a matter of practicing as much as possible- there are many, finer details that need to be considered before you stand in front of your peers. A speaker’s routine varies but there’s one thing for sure: having a standard routine to ensure you are as prepared as possible is essential. 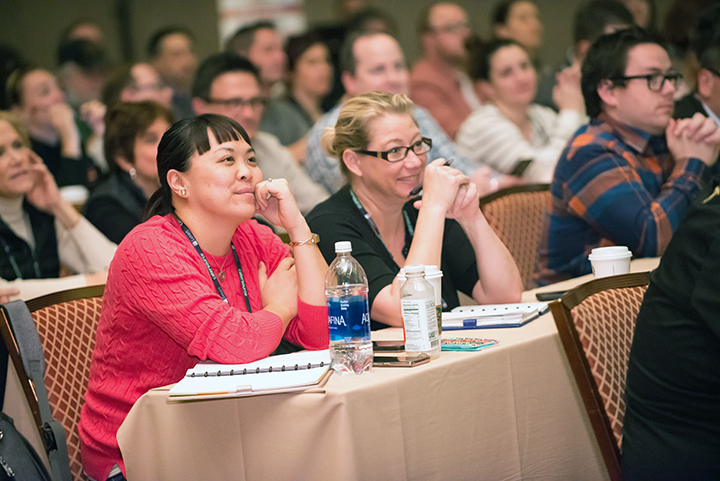 Attendees at Catersource 2018 in Las Vegas enjoying their session. For some, it begins with your overall look and how you plan to present yourself. “My getting ready routine begins at home to ensure that I have an outfit appropriate for the audience and that makes me feel comfortable,” says CeCe Todd, owner of CeCe Designs. If speaking away from home, packing will be equally as impactful with the success of your talk. “In preparing to travel for a speaking engagement, I always make sure that I pack the following: my computer with a charger for my slides along with the assumed converter, flash cards to assist me in staying on track, business cards, a gift for attendees that ties into my speech (something to inspire them on their desk! ), and a power outfit,” says Jaqueline Hill of Jacqueline Hill Events and Designs. Speaker Joe Mineo teaches a Lunch & Learn session at Catersource 2018. Even on the day of the event, a quick run-through can make a world of difference. “Before I get ready to go on stage, I practice my presentation one more time in the hotel room to build confidence,” says Hill. Hammer also prioritizes the opportunity to wind down a bit before taking the stage. “I also love to go online to watch an episode of Seinfeld in order to relax—and maybe even gain a new idea for a joke opening to my speech!” she adds. So, at your next speaking engagement why not take a few tips from these pros to shake up your getting ready routine and you might find that it will enhance your performance. Catersource Call for Speakers is now open! Are you interested in presenting a knowledge session at Catersource? A talk about current trends? Click on this LINK to get more information. Deadline is May 25.